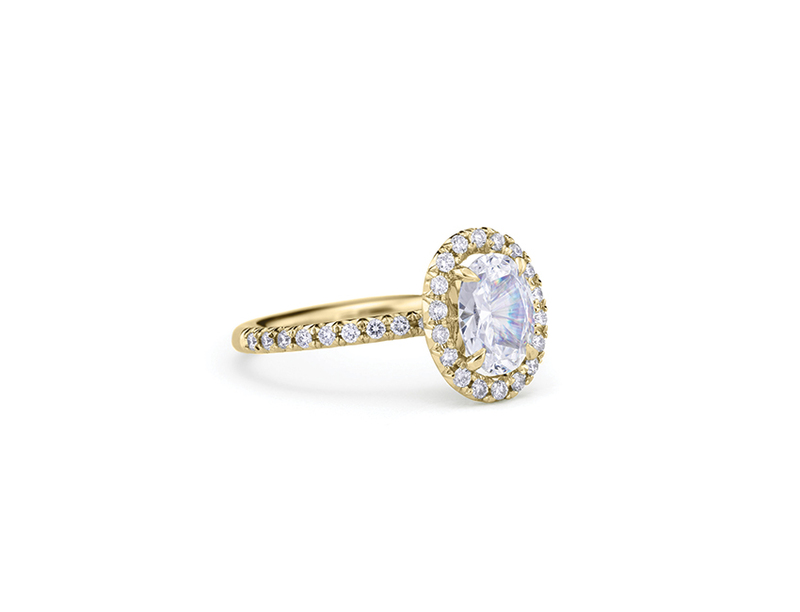 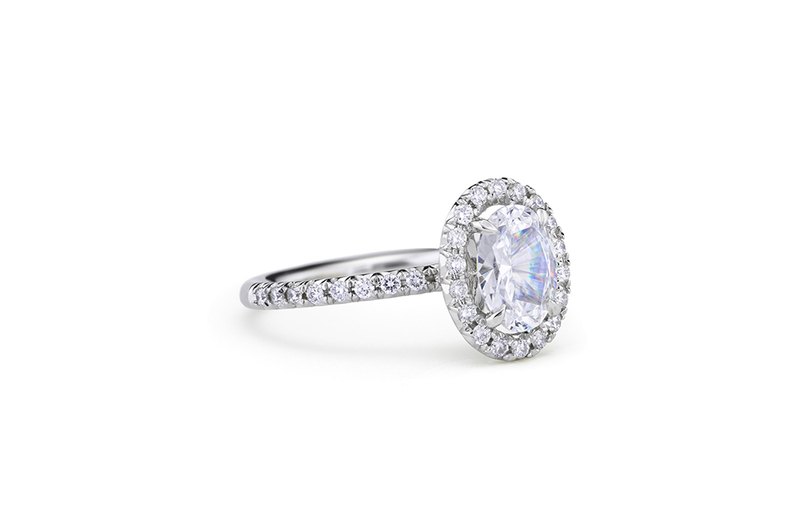 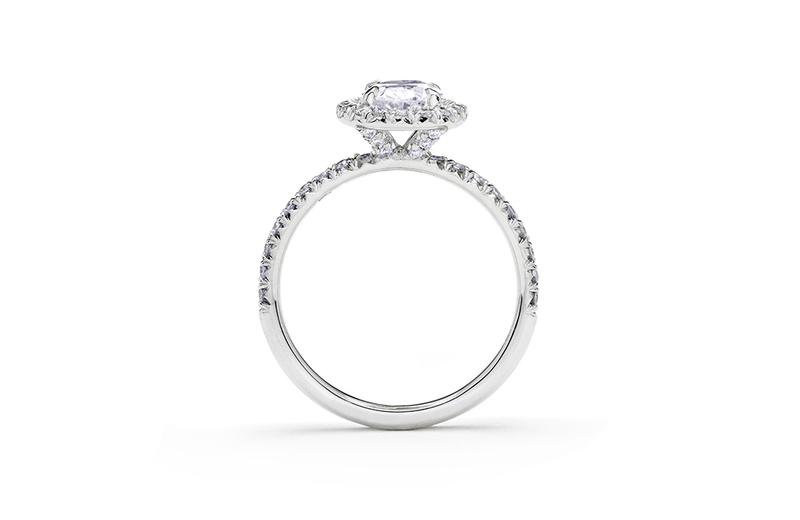 This graceful, rounded pavé halo frames a central diamond set with four pointed prongs. 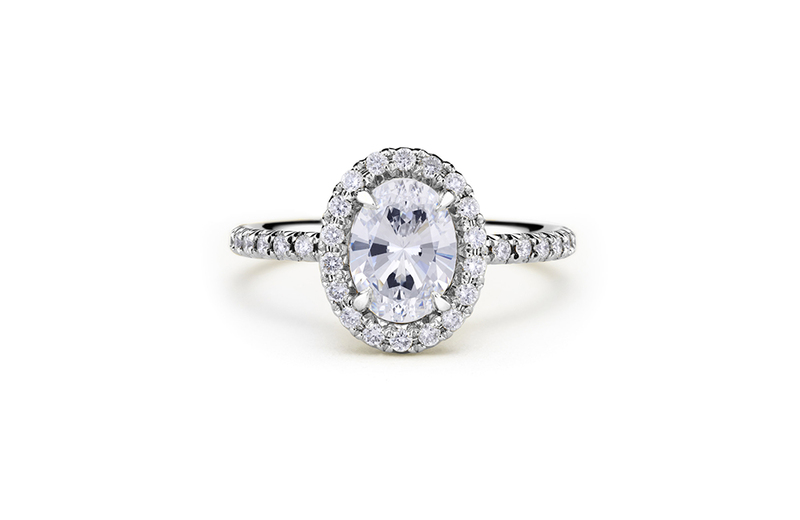 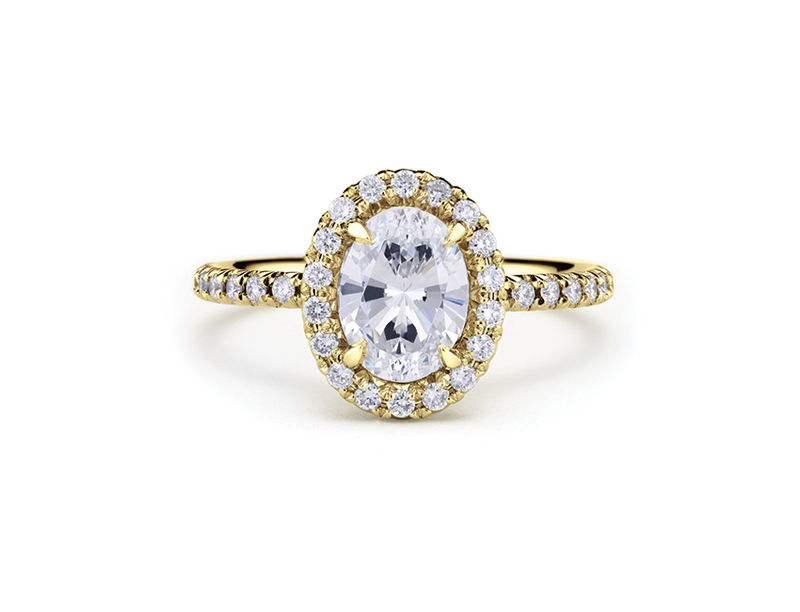 The pavé continues along the setting beneath the diamond and down the ring band for maximum radiance. 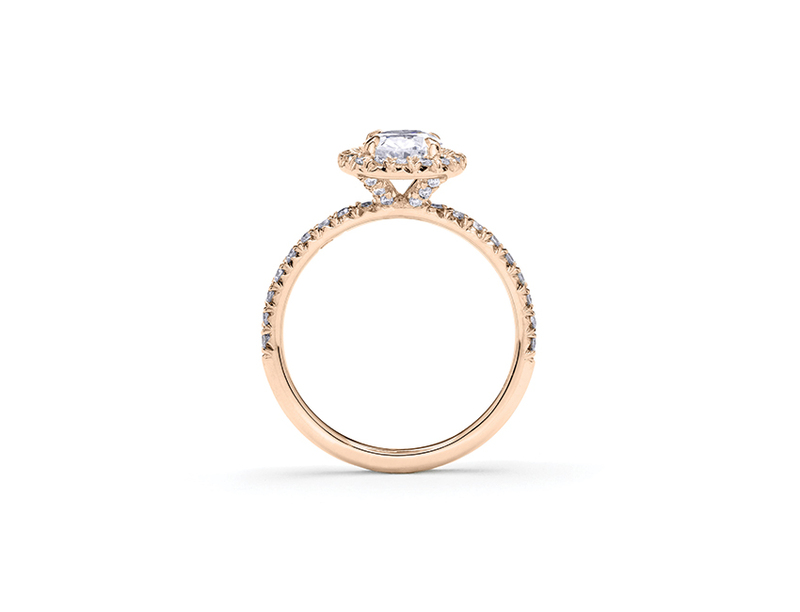 This ring will sit flush with a wedding band.